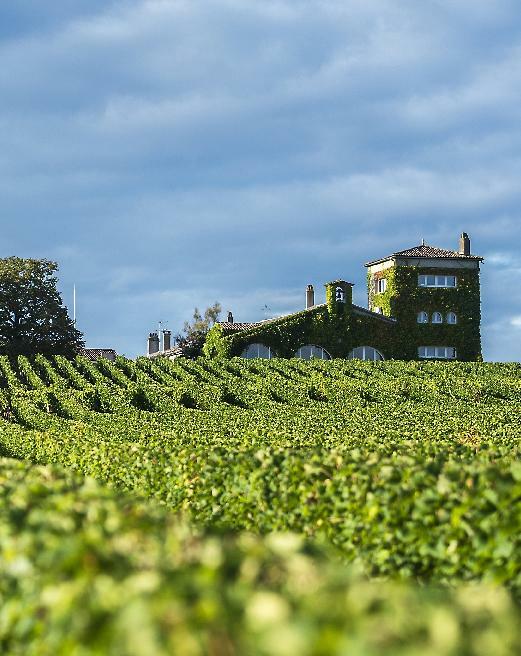 Owned by Domaines Barons de Rothschild (Lafite) since 1984, Château Rieussec is located in the heart of the Sauternes vineyards. In the 18th century, Château Rieussec belonged to the Carmelite monks of Langon and in the 1855 classification; the quality of Rieussec's terroir was ranked as a first growth Sauternes and Barsac. The vineyard extends to the border of Fargues and Sauternes, the vines cover 93 ha of gravelly soil layered with alluvial deposits. The vines consist predominantly of the classic Sauternes grape, Sémillon (90%), supplemented by Sauvignon (7%) and Muscadelle (3%). Traditional Sauternes techniques are used and the grapes are harvested in several selective pickings as the grapes ripen and botrytis cinerea ("noble rot") develops. The harvests are spread over six to eight weeks, from September to November.